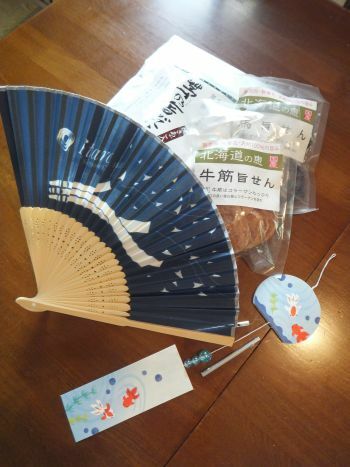 My friend who lives in Hokkaido gave me some gifts. There are a soup stock powder, a fan, dog's treats and a wind chime. The bottom one is a wind chime made of two pieces of papers, and this wind chime is also a greeting card.